Will Syrians ever find home again or are we destined to forever settle in the plight of resettlement? Must we finally let go of home in order to belong once more? For millions of displaced Syrians around the world, home prevails somewhere between fading memories and fragile dreams. In the aftermath of despair, the idea of home stretches beyond stone walls and ancient countries. 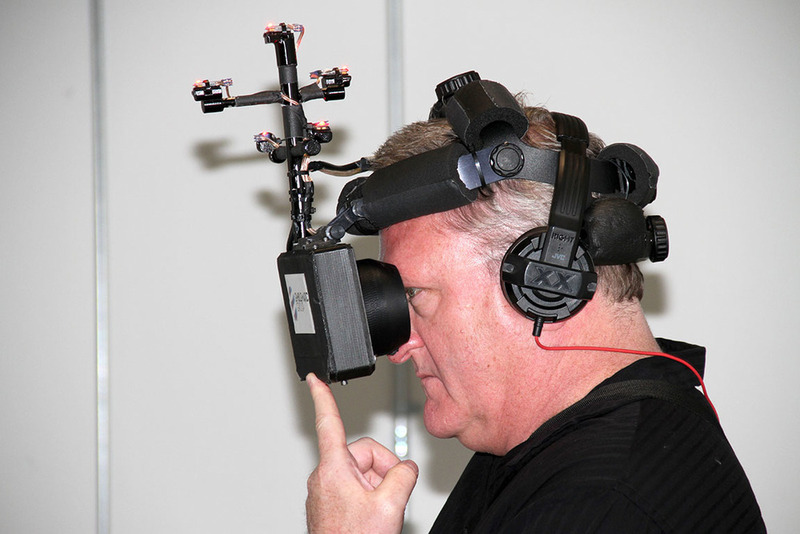 Home reconstructs itself within new, unexpected, and sometimes virtual, communities. Join Karam CEO/Founder, Lina Sergie Attar for an engaging discussion at NYU Abu Dhabi Institute. A FALL EVENING FOR SYRIA IN BOSTON! Join us for a fundraising dinner featuring an inspiring fireside chat with one of the Arab world’s most storied entrepreneurs and technology investors, Fadi Ghandour, and Karam Foundation’s Founder and CEO, Lina Sergie Attar. 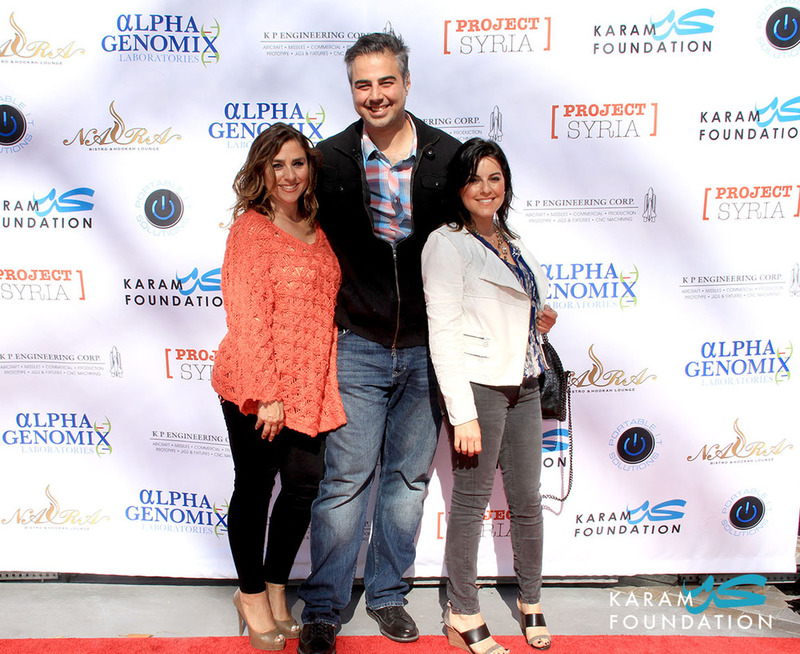 Meet the Karam board and learn about our innovative programs to support Syrians in need. Tickets are $100. Proceeds will benefit Karam Foundation's programs for Syrian refugee youth. Join Karam Foundation for our 11th annual Mother's Day Brunch on Sunday, May 13th. Together we will celebrate all the beautiful mothers in our community. Early bird ticket rates are available for adults until May 1, tickets purchased after May 1 will be $95. 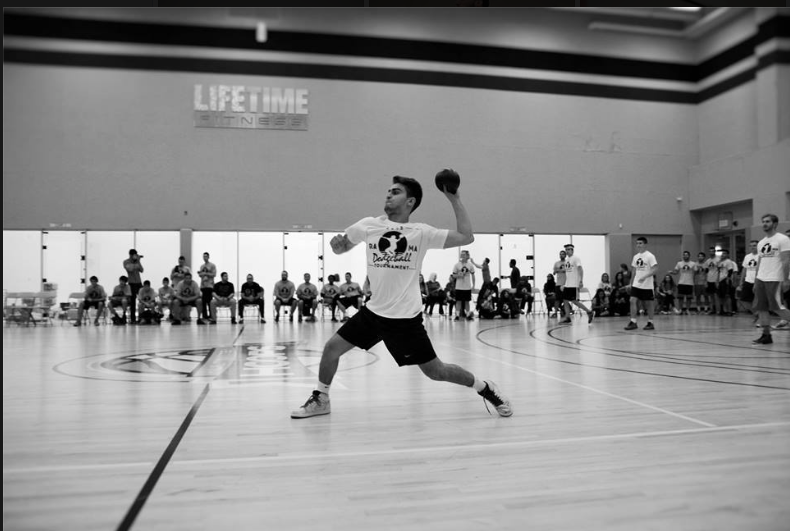 Proceeds to benefit Karam Foundation. Comedian, talk show host, author, and activist, Chelsea Handler will be discussing today's trending issues, what's important now, and her passion for helping Syrian refugees. 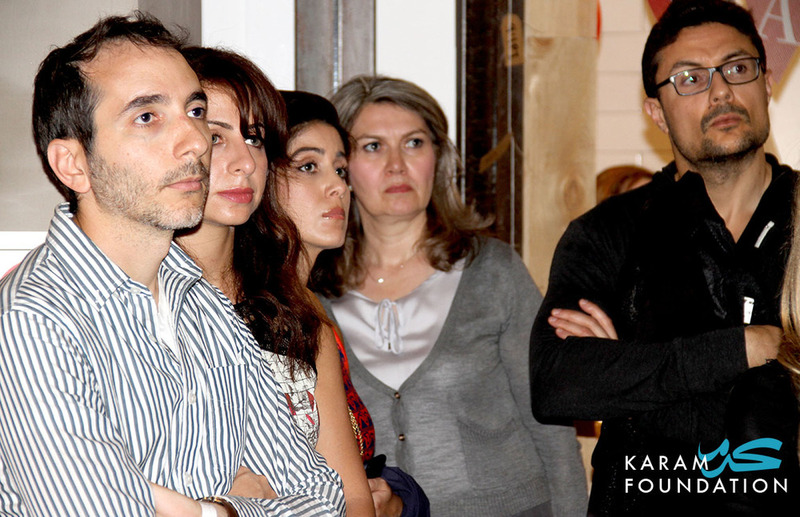 Chelsea has been a longtime supporter of Karam Foundation. She has sponsored the education of dozens of Syrian refugee children for more than a year, helping stabilize Syrian refugee families living in Turkey so that their children do not have to work, and can instead access a quality education. Chelsea's generosity has extended to support Syrian families that have recently resettled in the United States. 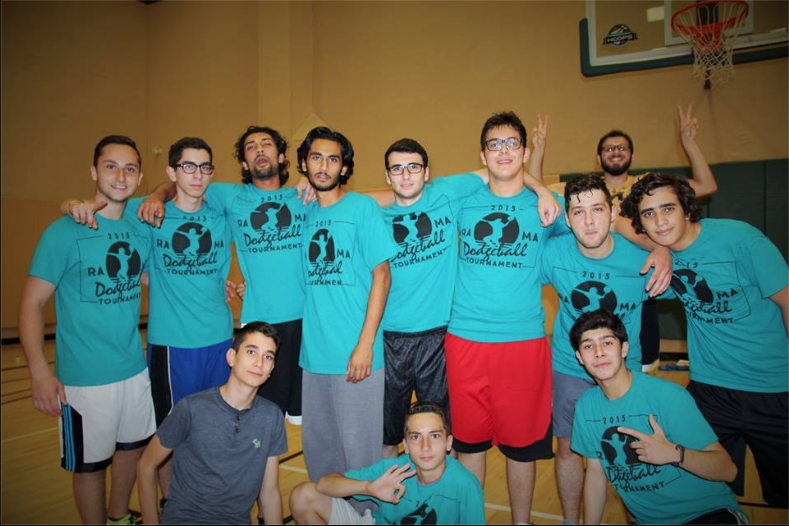 In May 2017, Chelsea made a generous contribution to Karam Foundation's pilot Jumpstart program for Syrian refugees, allowing us to provide transportation assistance and overall support to over 17 Syrian refugee families across 8 states. Join us for an evening of fashion, food, and fun! 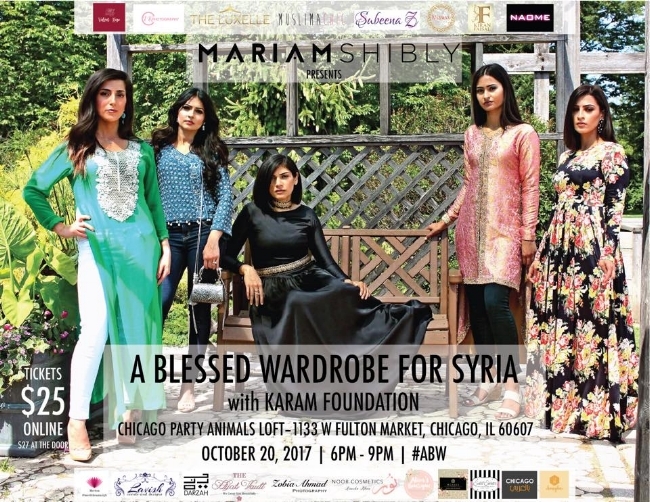 A Blessed Wardrobe will showcase designs by Chicago-based designers, SubeenaZ, Niswa Fashion, The Luxelle, Kiran Faisal and Muslima Chic with stunning jewelry by Velvet Rose Jewelry. Appetizers and sweets will be provided by Honey Doe Chicago, Sweet Soirees Chicago and Caked by Aamrah. You will also have a chance to shop designs by the designers after the show as well as pop-up shops featuring products by The Hijab Vault, H Cakes, Noor Cosmetics, Alina's Boutique, Darzah Designs. Ticket proceeds will benefit Karam Foundations programs for Syrian families in need. Get your tickets today! Karam Foundation to Host Winter Warm Up Coat and Blanket Drive, and Open House at Gorton Community Center. Lake Forest, IL, September 7, 2017 – Karam Foundation extends an invitation to the public to join them for tea, coffee, and Syrian-style desserts on Thursday, October 5, from 9 a.m. – 11:30 a.m. at the Gorton Community Center, Stuart Room, 400 E. Illinois Road, Lake Forest, Illinois. Guests are encouraged to bring new or gently used coats, snow pants, winter accessories, blankets and Halloween costumes for donation to our Winter Warm Up Coat and Blanket Drive for Chicago-area Syrian refugee families, to be held Wednesday October 25, 2017, from 2 p.m. - 8 p.m. at Oakton Community Center, 4701 Oakton Street, Skokie. Those who bring donations to the event will receive a Sweet Pete’s coupon. Join us for an exclusive luncheon with one of America’s most talked about celebrities. Meet comedian, author, and talk show host, Chelsea Handler! In 2012, Chelsea was listed as one of Time Magazine’s 100 Most Influential People. She currently hosts the popular Netflix talk show, Chelsea. We are thrilled to share an afternoon with such a bright, bold, and inspirational figure. 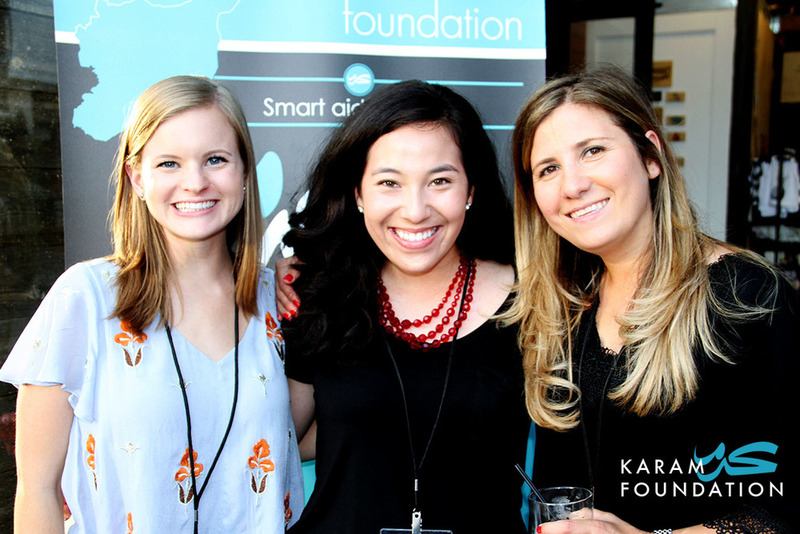 Chelsea has been a longtime supporter of Karam Foundation. She is currently sponsoring dozens of Syrian refugee children to go back to school and is a fierce advocate for our programs supporting Syrians in need. Chelsea has interviewed hundreds of celebrities, including award-winning actors and actresses, rappers, musicians, and more! 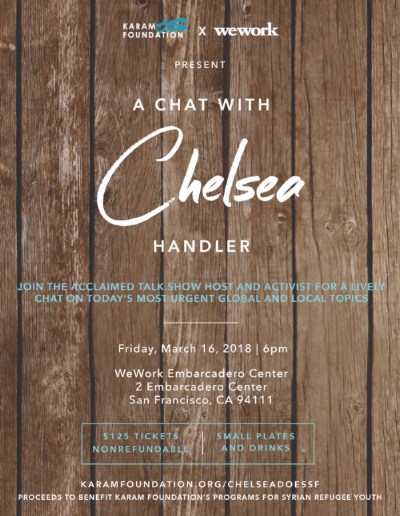 Don’t miss this once-in-a-lifetime opportunity to see Chelsea Handler live! Please join us as #ChelseaDoesChicago at the award winning, 5-star Langham Hotel in Downtown Chicago. Proceeds will benefit Karam Foundation’s Innovative Education programs for Syrian refugee children and youth. The charrette will take place in three meetings, in March and April, 2017. The first will be a kickoff and in-depth information exchange; the second, a hands-on workshop, concluding with a spectrum of concept ideas; and the third, the final presentation. Grab your blankets and join UNICEF NextGen and Karam Foundation for a screening of Salam Neighbor in the park! From the same team that brought you Living on One Dollar, Salam Neighbor is an award-winning film and campaign to connect the world to refugees. Immerse into the life of a Syrian refugee through the journey of Chris and Zach as the first filmmakers allowed to be registered and given a tent inside of a refugee camp. Join government and private sector officials and college students to discuss the response to the Syrian refugee crisis with a particular focus on providing education to all children in need. With an innovative and interactive format, the conference will seek to provide projects and ideas for students to work on in conjunction with outside organizations to greatly improve the impact that college students have on the refugee crisis. 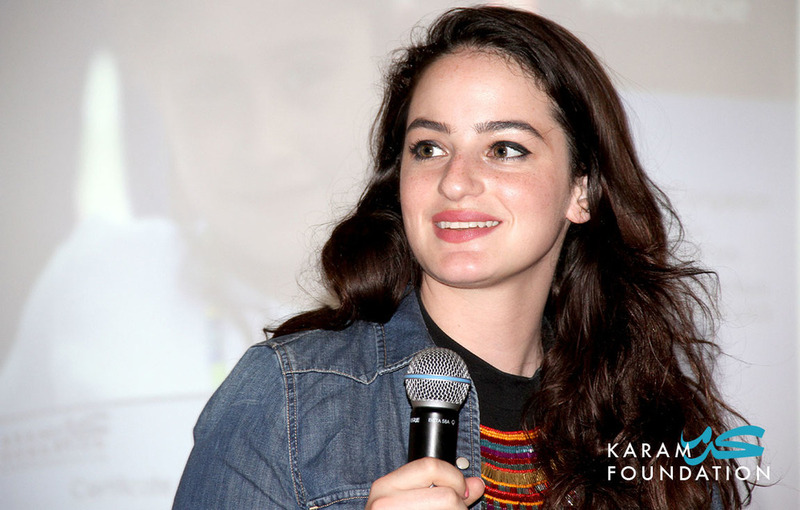 Karam Foundation’s Aya Samman will be speaking on a panel about mental health among Syrian refugees at Michigan State University's Refugee Symposium. We are grateful to the German Program, Department of Linguistics & Germanic, Slavic, Asian, and African Languages at Michigan State University for organizing this conference and for inviting Karam Foundation to share our work and experiences with you. Global Week for Syria brings to life the possibility that Syria would once again take its place as a beacon of rich culture, deep history, and unwavering hope for human compassion and understanding. Syrian music on oud and percussion with Naser Musa, along with co-authors Robin Yassin-Kassab and Leila Al-Shami presenting their new book, "Burning Country," plus Syrian American spoken word artist, Omar Offendum. We are grateful to the SETA Foundation of DC for inviting Kenan Rahmani to represent Karam at the Conference on the Syrian Refugee Crisis and speak on the panel for women and children refugees. Other panelists included Nadia Alawa of NuDay Syria, Ahmad Tarakji of SAMS, and Paul Reisoli of IRC. Thank you to SETA DC for organizing this conference and for inviting us to speak. 1025 CONNETICUT AVE • WASHINGTON D.C.
Karam CEO/Co-Founder, Lina Sergie Attar will speak at the Harvard Graduate School of Design. We are grateful to the Medina program for organizing this event and to the Aga Khan Program, the Center for Middle Eastern Studies, and the Weatherhead Center for International Affairs at Harvard Graduate School of Design for their support. Karam's Director of Development, Samia Akhras will speak on a forum dedicated to the Syrian refugee crisis. The form will include perspectives from panelists, including Rabbi Brian Besser, Professor Elizabeth Dunn from Indiana University, immigration attorney Christie Popp, and Imam, Dr. Abdul Karim Baram. Art on the Corner's annual fundraiser concert will donate a portion of the concert proceeds to support Karam Foundation's Smart Aid programming. About the performance: In 711 A.D., Arabs crossed Gibraltar into Iberia and for the next eight centuries a tremendous exchange took place. Great minds, ideas and art crossed the strait of Gibraltar (Jabal Tariq) back and forth and created a rich mix that transcended the boundaries of religion, ethnicity and language. It is in this esthemus, this land in between, that giants such as Averroes, Maimonides, Alfonso El Sabio and Zyriab emerged. Thirteen centuries later, six musicians and dancers, who have been working together for a decade, strive to recreate this era through their music as immigrants in New York City. Both the time and the place of this encounter are significant as New York becomes the New Andalucia with an afternoon of convivencia (coexistence). The six musicians of New Andalucia are Alfonso Cid on vocals, flute and cajón, Arturo Martínez on guitar, Bárbara Martínez on vocals and dance, Taoufiq Ben Amor on vocals, oud and percussion, Ramzi Eledlebi on percussion and dance, and Bay Ridge resident Zafer Tawil on oud and violin. United welcomes Professor Provence and Karam Foundation for a night about Syria and its refugees. Join us to learn more about this topic as well as the importance of charity in Judaism and Islam. 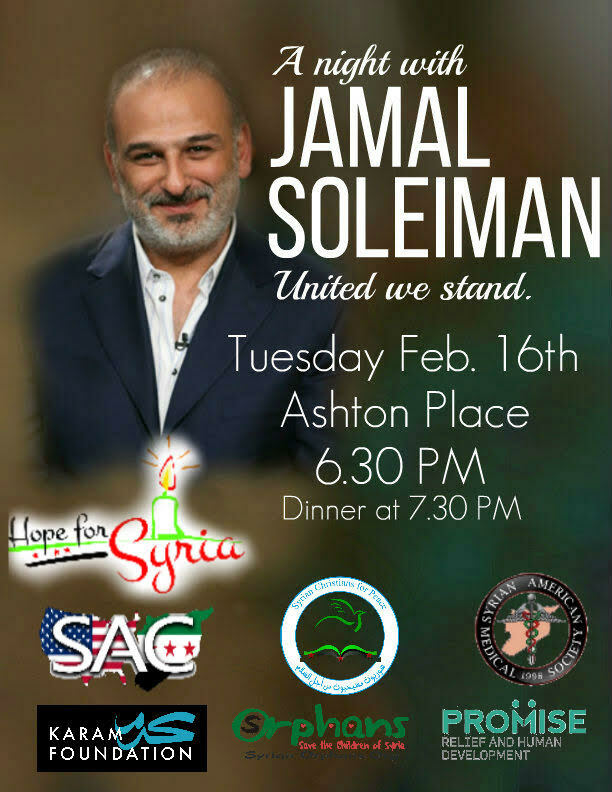 Join Karam Foundation and other Syrian non-profits in the region for a dinner with Syrian actor Jamal Soleiman, who will speak on the urgency of Syria's crisis. The office of Multicultural Student Affairs at the University of Chicago invites you to a panel & discussion on Islamophobia with Karam Foundation's Roya Naderi and Silk Road Rising's Jamil Khoury. We hope to engage participants in meaningful discussion around how fear of the “other” has shifted our understanding of “American” values. The event will be followed by student-facilitated small group dialogues. Join the UCR Middle Eastern Student Center and Muslim Student Association for a night of performances from talented individuals all over Southern California! Join the event on Facebook. ALL PROCEEDS GO TO KARAM FOUNDATION'S PROGRAMS FOR SYRIAN REFUGEES. Join SOS at DPU, and our co-host, MEPA, to welcome Karam Foundation's Co-Founder/CEO Lina Sergie, along with a panel of her team members Razan Wafai, Alia Abdul-Samad, and Jenna Hindi. Arabic coffee and sweets will be provided. Local Musicians and students come together for this benefit concert for Syrian Refugees in the US and in Turkey. Music from Mozart to excepts from our friend, Syrian composer, Kinan Azmeh's Concerto for Flute and Orchestra (piano reduction by Hugh Keelan). Musicians from Claremont and Brattleboro will come together, including Angela Biggs, Hugh Keelan, Jenna Rae, and Melissa Richmond. A holiday bazaar featuring Karam Foundation's Scents of Syria Soaps, Vintage Overcoats and Handmade Jewelry. Come enjoy the afternoon mingling with friends and shopping for a good cause. This Event is free and open to the public. Join us! In a rare appearance, Gaida, known as "The Syrian Nightingale" for her impeccable musical intuition and velvety yet crystalline voice, will sing bluesy originals from her album "Levantine Indulgence." 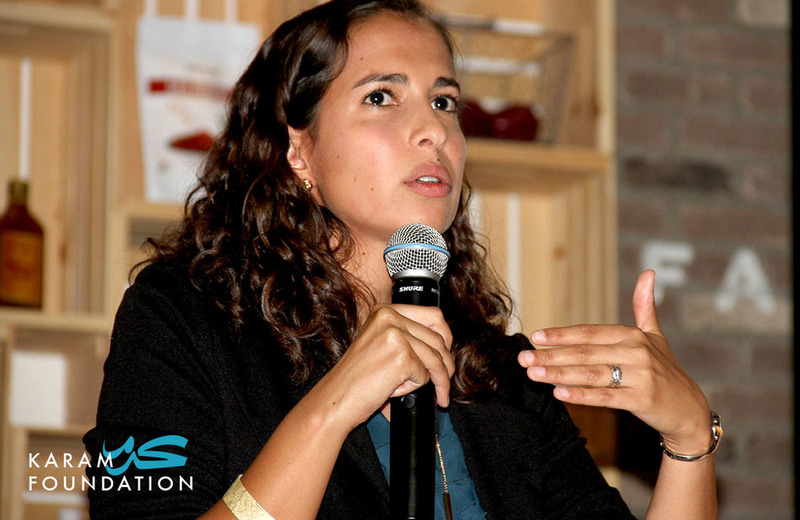 Lina Sergie Attar, Karam Foundation's CEO and Zora O'Neill, who also recently returned from cooking meals for refugees in Lesvos, Greece, will be speaking and give slideshow presentations of their work. An Evening to Benefit Syrians displaced by Violence and Extremism will raise funds to pay teachers and doctors in refugee camps providing essential services in Syria and Turkey. Speakers include Ambassador Fred Hof and Jay Abdo, a Syrian-American actor. Contributions are tax-deductible. The Democracy Council, a 501(c)3 nonprofit organization based in Los Angeles, is dedicated to promoting human and civil rights, rule of law and civil society development in emerging countries. The Milk4Syria Distribution Center, located in the city of Binnish in Northern Syria, provides communities inside Syria with a stable and consistent supply of infant formula each month through a monthly voucher system which is dependent upon the need of the family and the number of infants that require infant formula. Also on hand during the dinner and for sale, was Karam's 'Soaps for Syria' initiative, a sustainable business supporting 50 displaced women in Damascus. 100% OF PROCEEDS WILL GO TO SUPPORT KARAM FOUNDATION'S MILK4SYRIA PROGRAM, which supports 600-800 BABIES each MONTH through consistent montly deliveries of infant formula. Dive into the game! 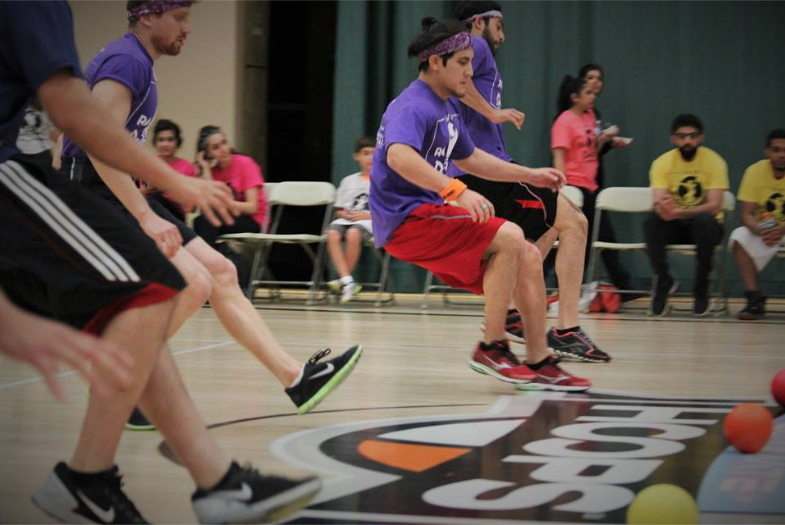 You can form a team and get ready to dodge, duck, dip, dive, and dodge all while supporting a noble cause. 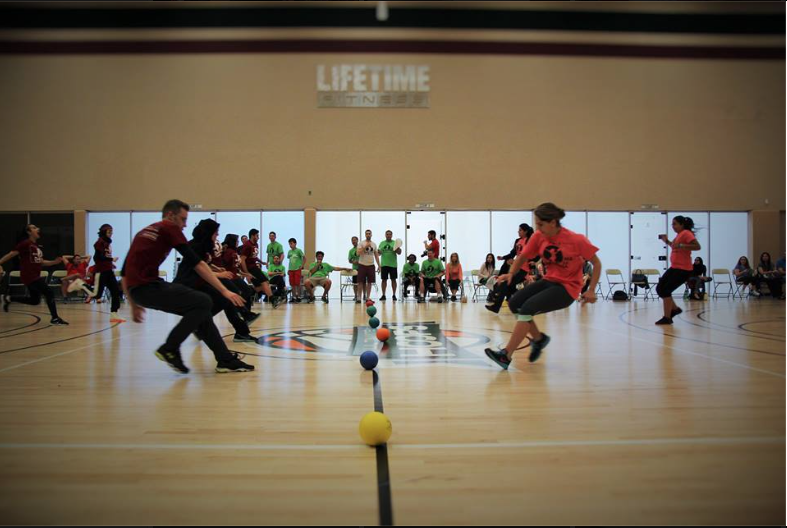 Spectators can watch the tournament unfold and cheer on the players! Full suhoor will be served. 100% of proceeds will go to support Karam Foundation's Smart Aid for Ramadan, an initiative that provides food baskets to Syrian families inside Syria.